For anyone who’s been wondering about Operation StratoChicken, it’s been rescheduled for Thursday morning. 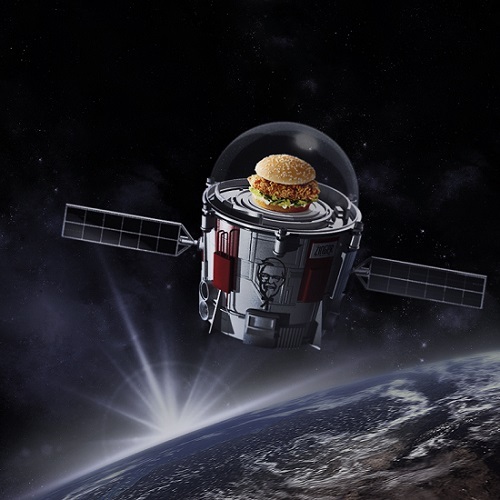 Here’s the latest update from World View CEO Jane Poynter on the KSC Zinger chicken sandwich promotion. Another quick update for those interested in watching the live broadcast of our upcoming Stratollite launch. Weather conditions have created a nice launch window opening tomorrow and spanning the next few days, so we are officially a GO for a launch attempt early tomorrow morning (Thursday, 6/29). Our friends at KFC are still preparing to operate the live broadcast feed and narration, so this should be interesting and fun. Again, enjoy it and take the commentary with a grain of salt! It’s a great opportunity for you to witness our launch operation. The final timing for launch is TBD, but KFC’s live broadcast of the event will start at 5:00am PT 8:00am ET.) Keep an eye on our facebook and twitter pages for real-time updates on launch timing. And, once again, here’s the URL where KFC will be hosting the live broadcast feed: https://yesweareactuallysendingachickensandwichto.space/. The Pima County Board of Supervisors voted 3-2 to appeal a court ruling that its build/lease deal with high-altitude balloon company World View violated state law. County officials called the lawsuit “job killing” and noted that the Phoenix-based Goldwater Institute “ignored” similar economic development deals in Maricopa County. A judge ruled last Thursday that Pima County violated state laws in not having its lease with the company appraised before signing an agreement to construct a facility. Judge Catherine Woods ruled in favor of a lawsuit by the right-wing Goldwater Institute to block the lease. The building was completed at the end of December. The supervisors voted after conferring with lawyers in a closed-door session during a meeting Tuesday. During a public comment period, a parade of local business leaders encouraged the supervisors to pursue the appeal. Against the appeal were Republicans Ally Miller, who also voted against approving the initial economic development deal last year, and Steve Christy, a newcomer to the Board who said he’d rather the county attempt to work out a deal with the plaintiffs before appealing. Some bad news for World View Enterprises: a judge has voided a contract between the high-altitude balloon company and Pima County in Arizona. Pima County Superior Court Judge Catherine Woods said Pima County was obligated to appraise the land and hold a public auction before agreeing to a $15 million incentives package for World View Enterprise last year. 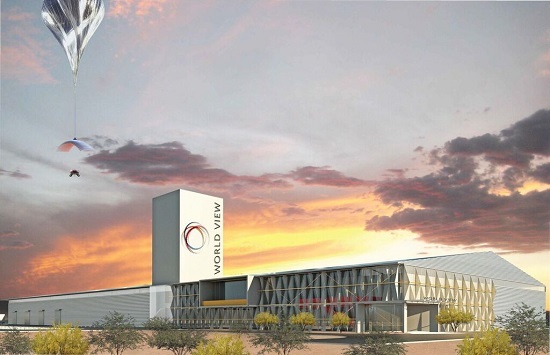 Goldwater Institute filed the lawsuit in April, months after the Pima County Board of Supervisors approved an incentives package for World View Enterprise that included building a 120,000-aquare-foot headquarters facility, 15,000-square-foot mezzanine and a launch pad. World View would pay to lease the building and own it after 20 years of payments. The space exploration company develops high-altitude balloons for commercial, government and research purposes. World View recently sent out press invitations for a grand opening on Feb. 28. Pima County and World View Enterprises on Thursday marked the completion of Spaceport Tucson and the headquarters and manufacturing plant the company will lease from the county. The county entered into an economic development agreement with World View in January to keep the company in Tucson. 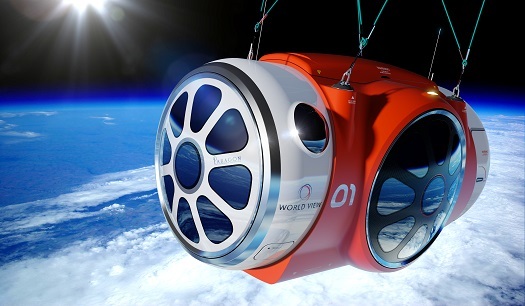 World View plans to use its space to manufacture its new, high-altitude balloon flight vehicles, known as Stratollites, and offer unmanned flights to the stratosphere for commercial and research purposes. The balloon vehicles can loiter over an area as a low-cost alternative to geostationary satellites for applications including communications, remote sensing, weather, and research. 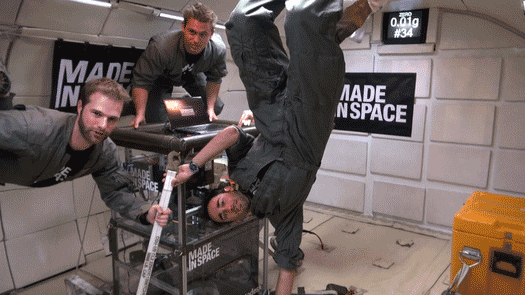 Eventually, the company hopes to offer people the chance to ride to the edge of space for a fee. 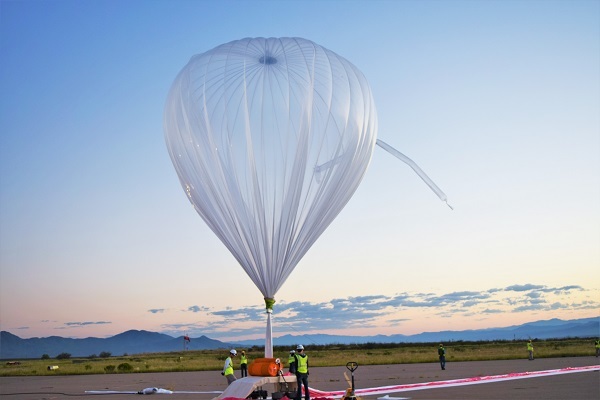 TUCSON, Ariz. (World View PR) – World View has successfully completed a high-altitude balloon mission for the Southwest Research Institute, a flight funded by the NASA Flight Opportunities Program (FOP) office. A judge is allowing a lawsuit challenging the $15 million deal between World View Enterprises and Pima County, Arizona to continue. Pima County Superior Court Judge Catherine Woods denied the county’s attempt to have three of four counts in a suit brought by the conservative Goldwater Institute dismissed. Woods said she would rule on the remaining count, which alleges that the county violated the Arizona constitution’s gift clause, later. That clause bars state government entities from giving their “credit in the aid of … any company or corporation,” among other prohibitions. Pima County has agreed to build a headquarters and manufacturing facility for World View near the Tuscon airport. The company, which will continue high-altitude balloon flights, would pay back the amount via a 20-year lease. 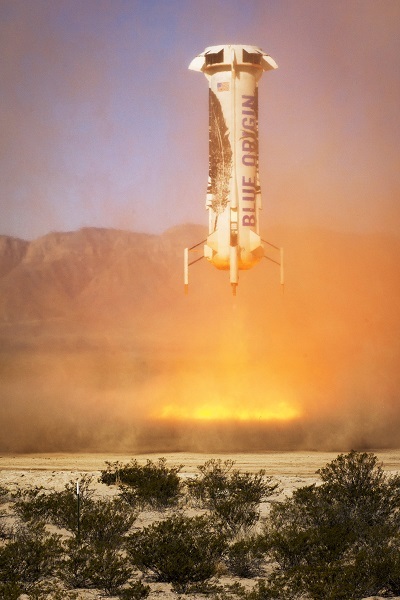 Below is a summary of updates that cover Sierra Nevada Corporation, Cecil Airport, Spaceport Colorado, FAA Office of Commercial Space Transportation, World View Enterprises, NASA Flight Opportunities Program. There was a presentation by Charles Walker, who was the first person to perform commercial experiments in space as a payload specialist on three space shuttle missions. A separate panel discussion on human-tended space research reached the unsurprising consensus that government should lift its ban on sending scientists into space with their experiments. 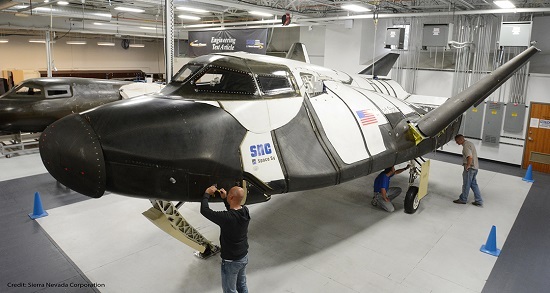 BROOMFIELD, Colo., June 2, 2016 (World View PR) – World View, pioneers of the stratosphere, are collaborating with Ball Aerospace to explore World View’s Stratollite platform for remote sensing applications. Ball Aerospace and World View are working together to explore the feasibility of a commercial capability to perform persistent remote sensing from the Stratollite platform. The collaboration will culminate with World View performing a long-duration, persistent Stratollite flight to demonstrate remote sensing capabilities for commercial applications. TUCSON, Ariz., April 27, 2016 (World View PR) — World View, the pioneers at the edge of space, today announced it has closed a $15M Series B round, with Canaan Partners as the lead investor. The round also includes participation from Norwest Venture Partners, Tencent, Moment Ventures, and Base Ventures. 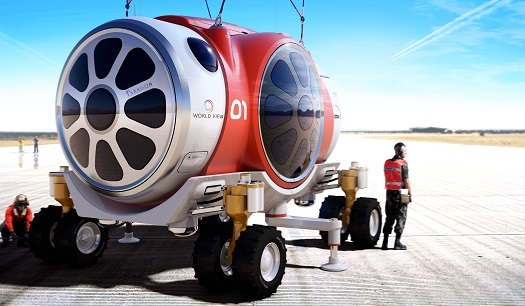 With the funding, World View plans to accelerate the development and commercial adoption of its “Stratollites” — high-tech balloons that operate in the stratosphere. TUCSON, AZ, Jan. 19, 2015 (World view PR) – Arizona is poised to become a hub for the space tech industry, as World View – the commercial balloon spaceflight company – today announced that Tucson will become home to its global headquarters, conducting launches from Spaceport Tucson. The announcement follows today’s affirmative vote on a public-private partnership with World View and Pima County, working in collaboration with the City of Tucson, Sun Corridor, Inc. and the State of Arizona.